Where the fox and the ptarmigan make their home. 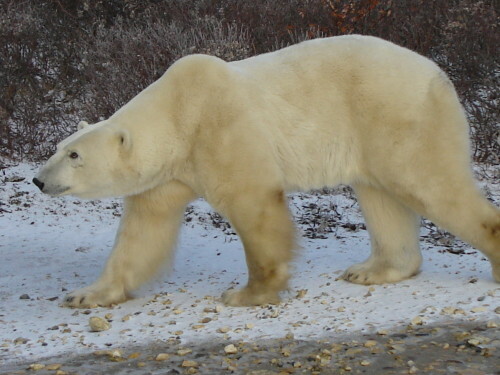 It’s the capital, too, of the polar bear! A land of lichen, willow and spruce. But don’t blame me ‘cause it’s not my fault! What is this land of rivers and lakes? It’s Churchill, of course, for goodness sakes! We climbed aboard our Polar Rovers! And there we found bears ABUNDRA! We saw them early. We saw them late. We saw them underneath the grate! 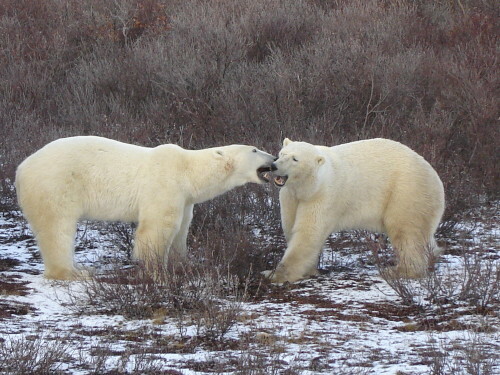 Those bears of Churchill can’t be beat! From early morn till the day was done. And every creature, except the ants! When all the other Cree are sleeping! Until she started on Jerry Springer! The finest small sculptures you’ll find anywhere! As we stood in awe at the “polar bear lift”! Our trip was great in every way. Colby and Court are the best of the best! I absolutely love the poem & pics ! 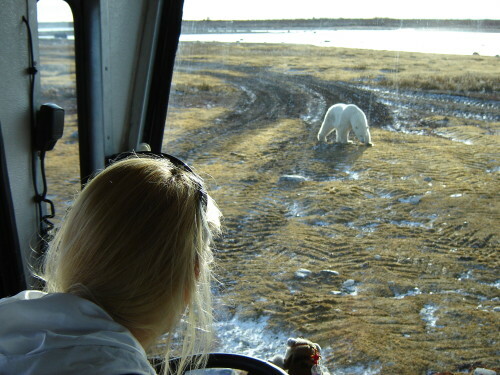 !I am proud to say that I`m a bus driver for Great White Bear tours in churchill so that allows me to work along side of the Nat-Hab team, all thru bear season !! LOVE Polar Bears and love that poem! So well written with a great message. 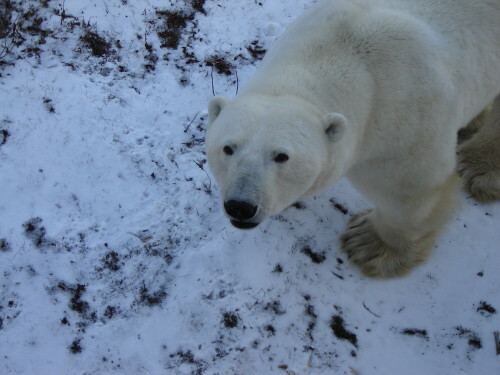 Thanks for sharing and for all the pictures of the fascinating polar bears! A big YES to all of that-I am just sorry my age is beginning to interfere with my wishes! Thanks to all of the NatHab guides and inside personal for some wonderful experiences.